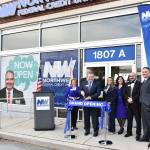 HERNDON, Va.--(BUSINESS WIRE)--Northwest Federal Credit Union recently opened its first branch in Maryland. The Herndon, Virginia-based credit union opened its Rockville branch on November 5, 2018, expanding its network of branch locations into Maryland to better serve its growing membership. The branch features two drive-thru lanes, 24-hour ATM access and more. The grand opening and ribbon cutting held November 14th was attended by representatives of the Montgomery Chamber of Commerce, iHeart radio personality Lisa Berigan, and many local businesses. 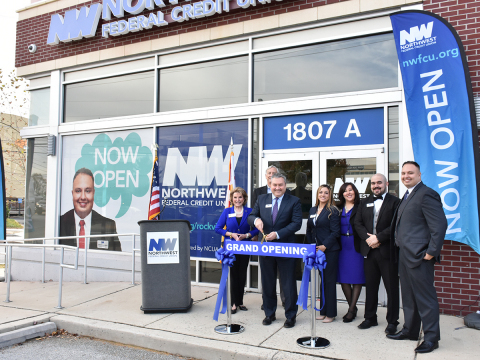 Jeff Bentley, President and CEO of Northwest Federal, thanked the community for welcoming Northwest Federal to Rockville Pike.